I was very relieved to find out that Harry had been cast as a Shepherd in his pre-school Nativity play. It is the very first costume that we've been asked to provide, and I think that we've been lucky. Because of this I was determined to put together my own costume. Asda sell a nice ready made Shepherd's costume for £8, so my personal challenge was to make a costume for cheaper that (in my opinion!) looks just as good. At the time of making the costume I didn't have a sewing machine, and the costume probably won't last much longer than it's needed, but I think that it does the job! This gave me a total cost of £2.49 - well under budget! The pillowcase forms the base of the outfit. I cut a hole for his head in the top, and then a small slit down the back, sewing velcro along the slit so it can be fastened. Then I cut a hole on each side for his arms, about an inch below the top of the pillowcase. I also removed some of the flap from the bottom of the pillowcase to make it less bulky. It is quite long on Harry (he was 3 when he wore this) but I decided not to shorten it as I thought I'd only make it look messy. I think that he looks sweet in an oversized costume anyway! I decided to make the costume a bit more individual by sewing two lengths of ribbon down the front. It did take a while, and my stitches are a bit wonky, but I think it looks okay. I'm sure that a Shepherd would have sewn his own clothes, and he wouldn't have had a sewing machine. Then I cut my 2m length piece of cord into two, one half to tie around the tea towel on the head and one half to tie around his middle. Harry is wearing a long sleeved t-shirt underneath, I found one that had plain sleeves that matched the fabric. The crook is made from an old curtain pole, the slim type used to hang net curtains. I fashioned the hooked end from cardboard, then sellotaped it all together firmly. I covered it with strips of plain paper and gave it a couple of coats of brown paint. I'm fully expecting the teachers to take it off him for health and safety reasons, as he does have a tendency to brandish it wildly! I was really pleased with the finished costume, and it really was so easy to make! He looks so sweet! And that is a brilliant shepherd costume. I'm disappointed as its my daughter's first nativity play this year - and she's the narrator so I don't get to make a costume. All the other mums are cursing having to make a roman outfit or a donkey and here I am with my sewing machine ready with no costume to make. We've been looking forward to his first Nativity play for ages, so much so that we kept paying for him at nursery for an extra couple of weeks so that he could be in it! I've heard that the costumes get more difficult as they get older though! It's great, and what a bargain! He looks so cute in it too! Thank you, I was surprised how little it all cost! Thank you! Pillowcases are great for making costumes with, and so easy! Love it! Am including this in the December BritMums Education Round Up, live on 12th December. Watch out for it on Twitter and show it some Twitter love!!! Thank you very much, I shall look out for it! That is a brilliant outfit! Thank you! It was so simple to make, I think that I'm going to be making all future costumes from pillowcases! Brilliant. I shall be copying this and pinterest searching 'pillow case craft'! So cute, just missing pictures of the process for better understanding. Love it! Thank you, I didn't realise just how popular this post was going to be so I didn't photograph it as I went along! Like it! 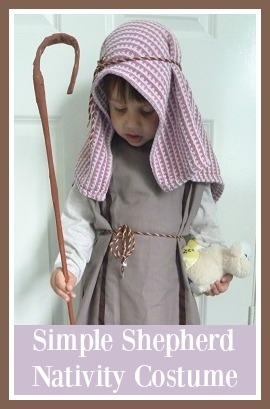 Just googling as we have every other nativity costume and little man is a shephard! 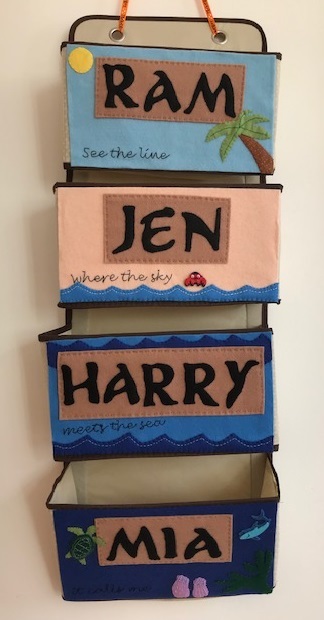 I loved how you transformed the pillowcase. Looks so nice on your little one.